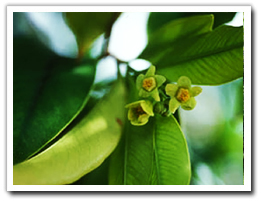 Oud Tree, Aquilaria tree, or Krissana Tree is a large evergreen tree growing over 18-21 meter tall, 1.5-1.8 m in diameter, and has white flowers. 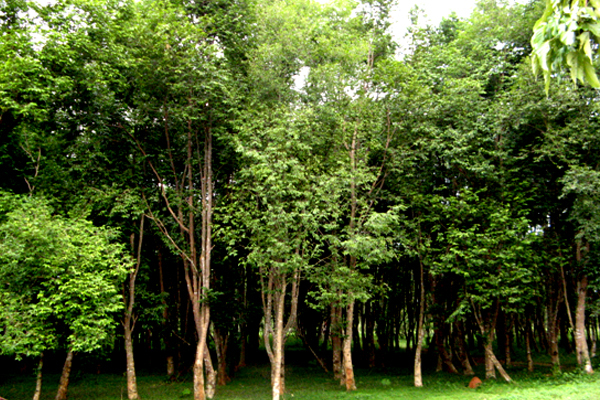 Its bark is smooth, grey in color with the thickness of around 5-10 mm. 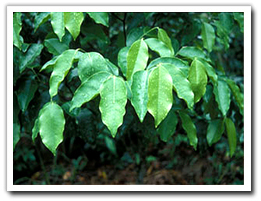 Its leaves are oval-shape with the width of 2.5-3.5 cm. and the length of 7-9 cm. 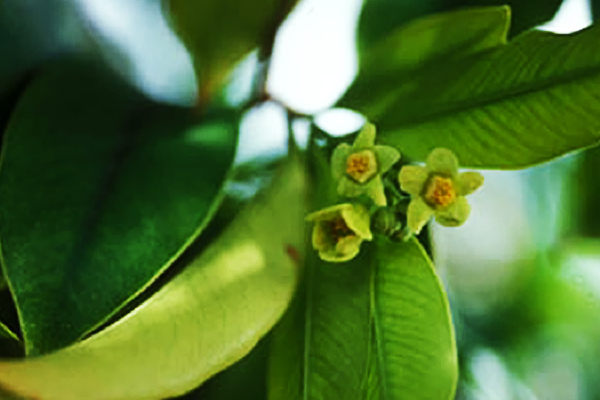 The tree starts flowering at an age of 6-8 years, between the months of March and April. Fruiting takes place between June and July in the same year. 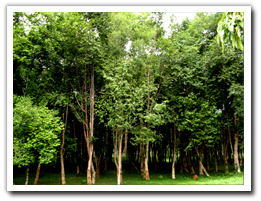 Krissana wood is generally white, but the black Krissana wood or Oud is dark resinous heartwood that forms in the tree when it infected with a type of mold. Prior to infection, the heartwood is relatively light and pale coloured, however as the infection progresses, the tree produces a dark aromatic resin in response to the attack, which results in a very dense, dark, resin embedded heartwood that is fragrant and highly valuable. Oud contains plenty of resin and oil such as Sesquiterpene alcohol, Dihydroagarofuran, b. Agarofuran, Agarospirol, and Agarol. 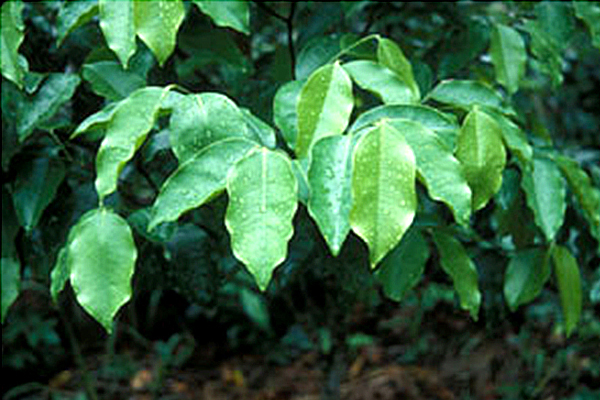 Aquilaria wood can be destilled and then yield an essential oil, which is used in the perfume industry.